Anna Roo here, we are still on the road so I thought I would update you on the travels we have made so far. When we last left off I had just shed a tick I found in the Great Smokey Mountains. So we will pick up there. We stayed in the greatest place in the Smokey Mountains, the Lodge at Buckberry Creek. It was very close to the park and still within Gatlinburg city limits and very Roo friendly. 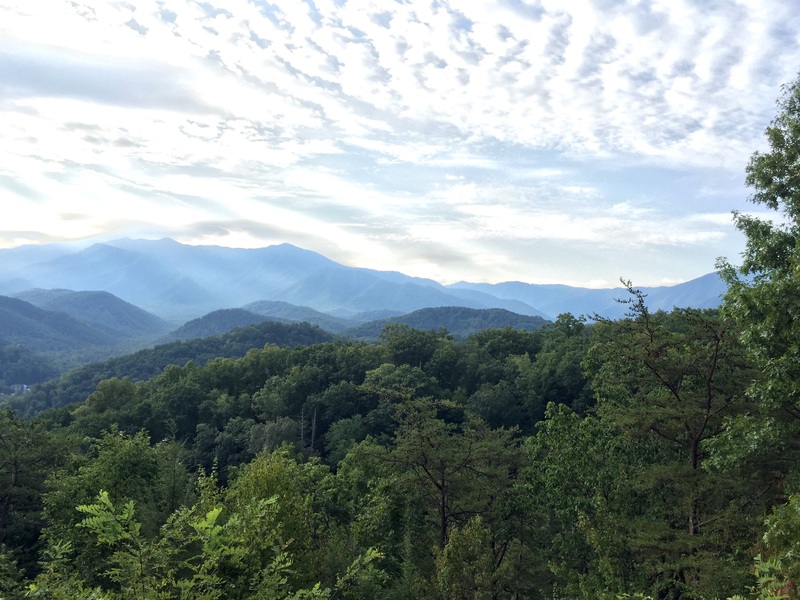 We woke up to the mountains peering in from our balcony and ate breakfast on a dinning terrace with sweeping views of the Smokey Mountains. Mom and Dad loved it and I liked the breakfast sausage.